The Jumpin’ Black Jack is a sweet but potent cocktail. 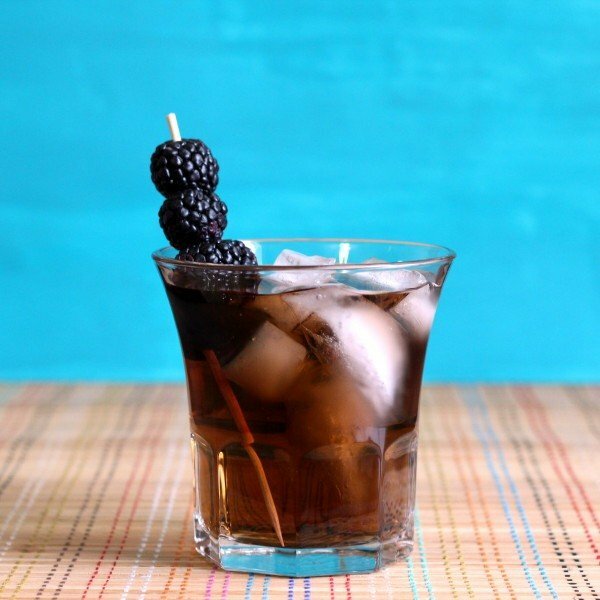 It blends Jack Daniels with blackberry brandy for plenty of proof and flavor. This is not a drink for the faint of heart, as it’s all alcohol and no mixers. It’s also a stealth cocktail – the berry flavor makes it go down easier so you don’t feel like you’re consuming a lot of alcohol. This can be a nice dessert substitute, especially after dinner when you’re ready to relax for a bit before bedtime. Fill a small glass with ice. Pour in the two ingredients and stir. Serve with a straw.